Hong Kong’s first two Liebherr 550 EC-H 20 tower cranes have been used on the high speed Express Rail Link(XRL) project lifting 17t concrete linings down to the underground tunnels. Hong Kong joint venture contractor Dragages-Bouygues and Penta Ocean Construction are both using the first Liebherr 550 EC-H 20 tower cranes for the lowering of 17t concrete linings down to the underground tunnels. Both cranes were supplied by local distributer Shriro Machinery. 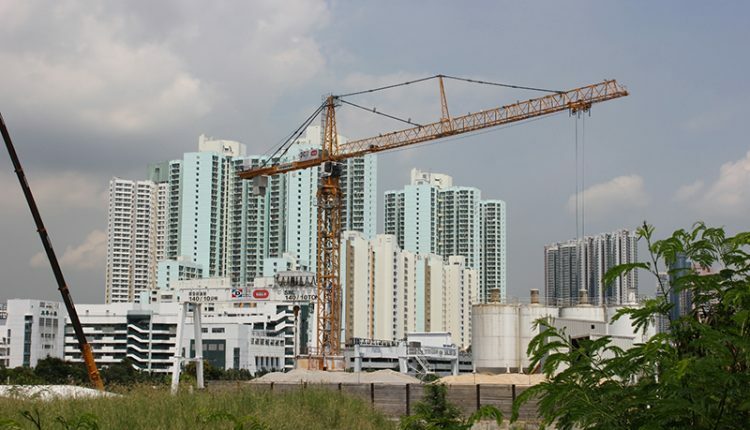 The company said it has also received a further order for four 550 EC-H 20 tower cranes for a residential towers complex in Hong Kong. The tunnels are part of the high speed Guangzhou-Shenzhen-Hong Kong Express Rail Link (XRL). The line goes from Hong Kong to the border of China and the cities of Shenzhen and Guangzhou. The 550 EC-H 20 installed for this job has a 51.5m jib length and a 31m under hook height, the crane has been designed to provide a maximum lift capacity of 20t.